*Originally posted on E, Myself, and I (9/27/13). Anyway, today, I thought I’d share some photos of my classroom in hopes of “inspiring” some of my fellow secondary teachers. 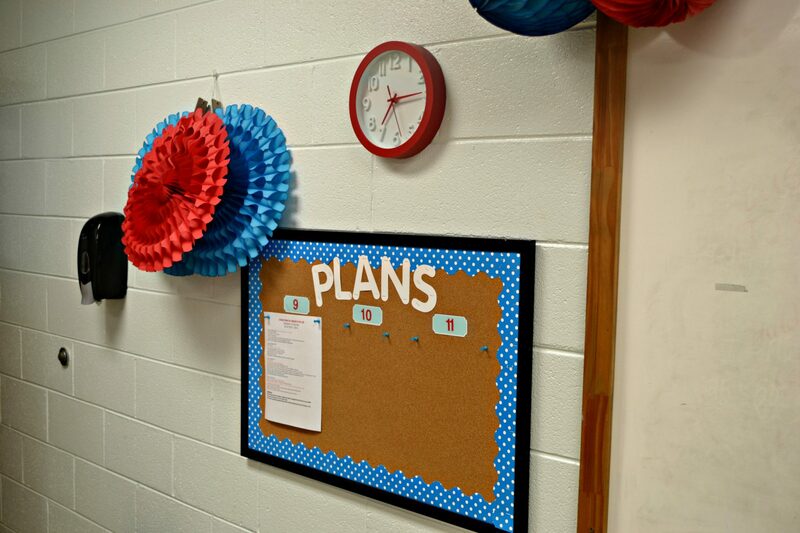 We don’t have to leave all the cute decor and Pinterest-worthy organization ideas to the elementary school folks! My “information center” is home to a weekly calendar, a white board decal for each class’ announcements and important information about the school schedule, emergency plans, etc. I also have my Yellow Sheets for missing work in an accessible place here, my make-up work binder, and extra pens (that look like flowers for added fun to prevent stealing) for the students. Behind my desk, I have a large (ugly) filing cabinet with a drawer for each grade level to store their writing assignments all year long. The white box on top is for class hand-outs that have been copied and papers that need to be returned to students. 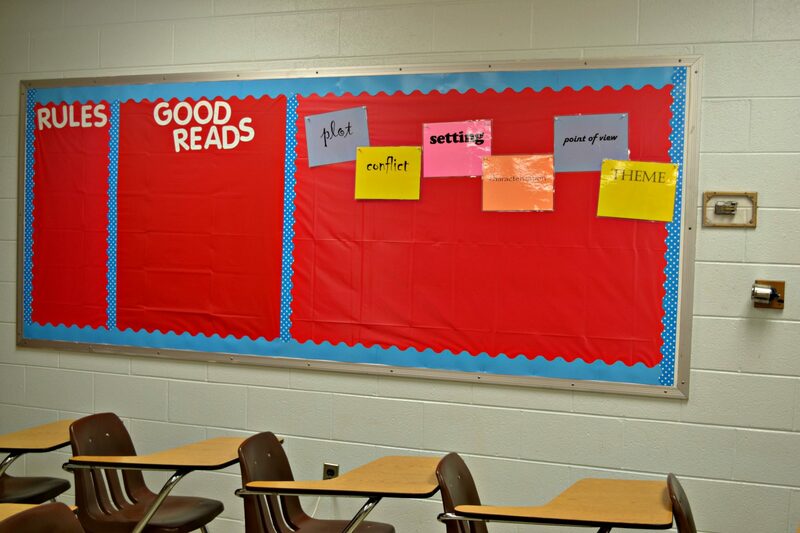 Across the room from my desk is another bright bulletin board (which I made from plastic tablecloths) just waiting to be filled. 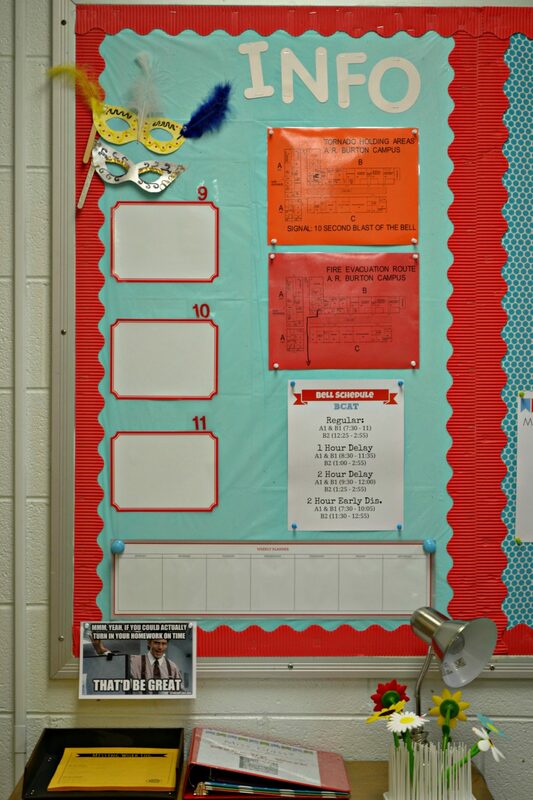 In the front of the room, I have a special bulletin board specifically for posting my lesson plans each week. This helps cut down on the “whatarewedoingtoday” drone that will start in about two weeks and keeps us all on the same page. Also, I like to think that if I’m ever absent unexpectedly, the sub would know just where to pick up with my plans this way. And a large bookcase with all of our supplemental novels. 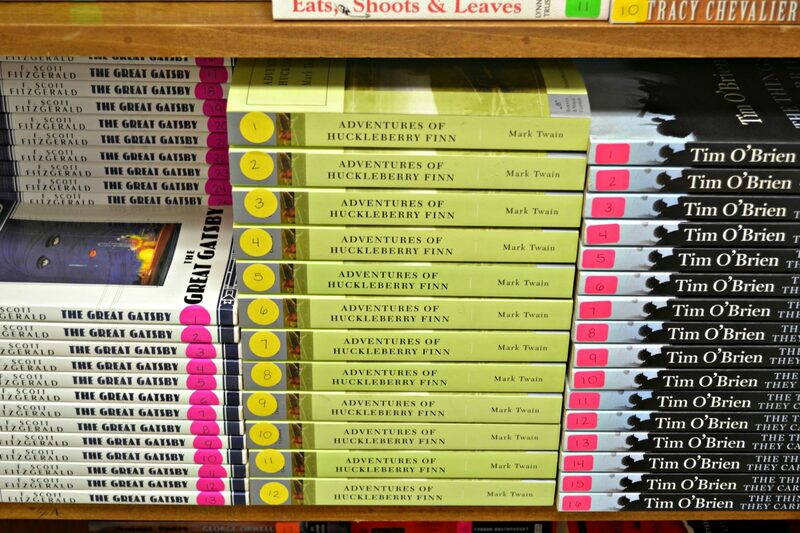 *New this school year, I’ve numbered every single book in my classroom. At the beginning of the year, each student is assigned a number that will be theirs for the year (usually alphabetical), this way I know exactly who has lost their books and students can easily grab them off the shelf at any time. And, finally, toward the back of the room, I have two more plastic drawer sets. 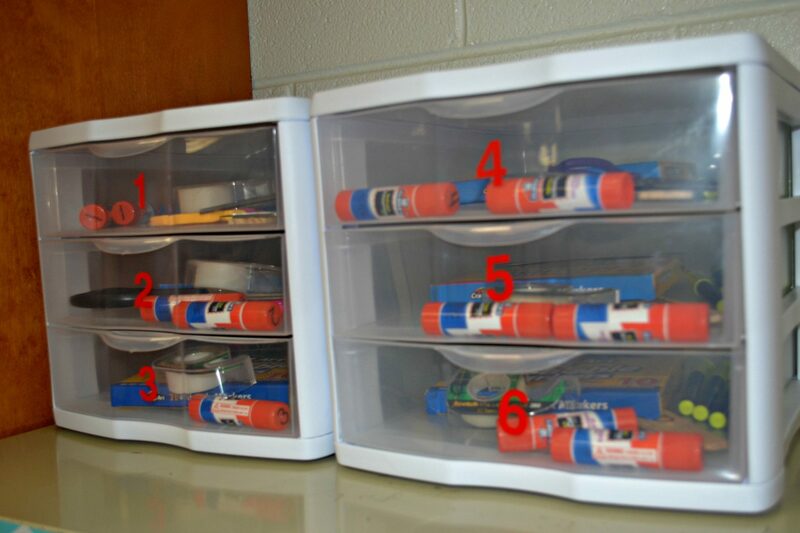 I have numbered each drawer (one for each of the six groups in class) and stocked it with scissors, glue, fresh markers, highlighters, etc. I found this idea on Pinterest and love it! The best part? Groups can take their entire drawer back to their desks to work and return it at the end of the block. Alright, that’s all I have for today. 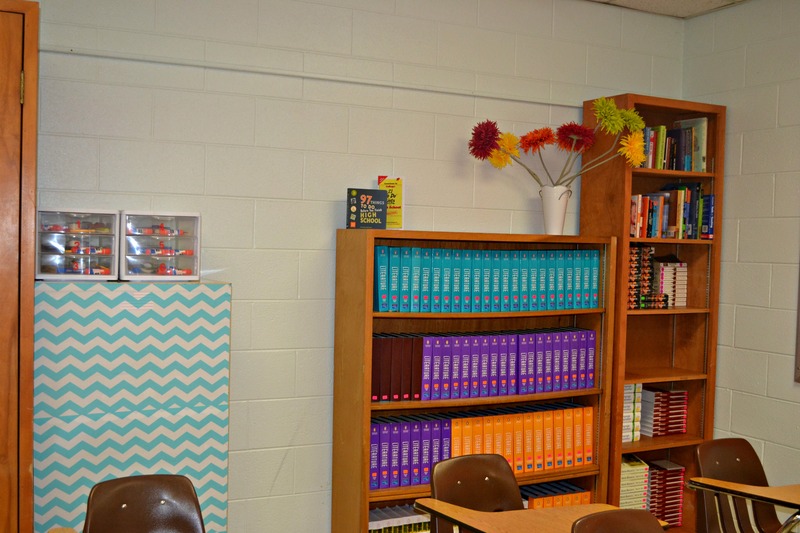 What organizational or decor ideas do you use for your classroom? Please share! EDITED TO ADD (3/26/14): I’ve been using all these organizational methods in my classroom for six months now, and have REALLY liked them. 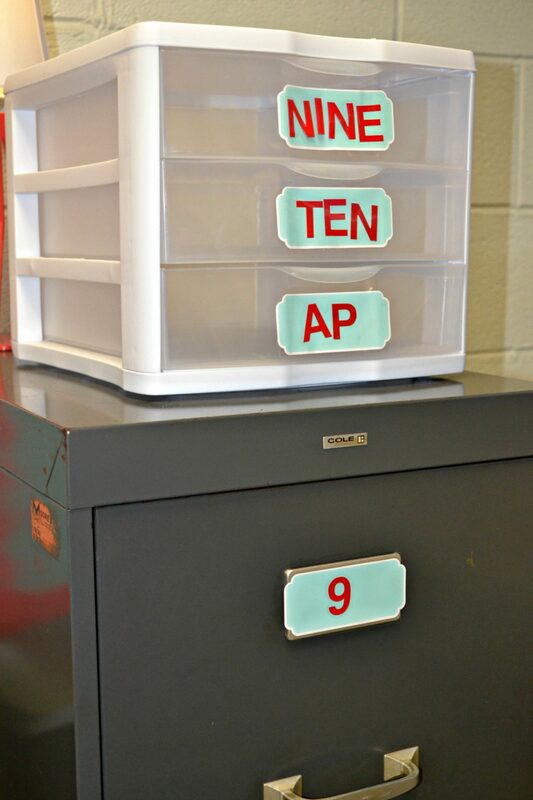 In particular, the numbered books and group work stations/drawers are super useful and easy!! 1. I am SO glad to have found you again! When I couldn’t find your old blog, I was sad. Now I’m happy. 2. My boyfriend went to Radford for undergrad! Small world! 3. How do you have your kids set up journals? I’d love to make mine journal, but, as I am currently teaching Rhetoric instead of English, I need some inspiration as to how I might use them. I’m lost! P.S. : Thank you for your honesty! It’s refreshing to read a secondary blog AND see someone be so real. Keep it up, girl. I’m new to this, too, and I’d love to know how to incorporate journals into the classroom. Hi! Thanks so much for your great ideas! I love the drawer of supplies for groups; could you tell me what materials go in each to give me an idea? Thank you!! 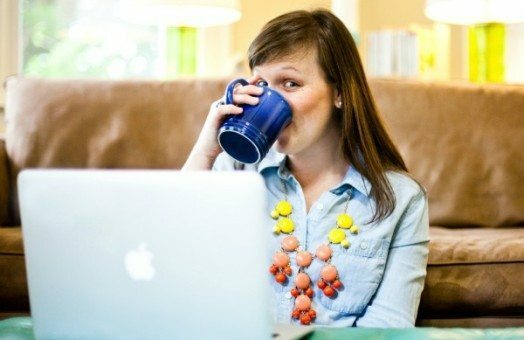 Hi, I love that you shared your organization ideas for secondary teachers – I agree that our organization can be visually appealing without being too cutesy. I just found your blog on Pinterest and I have to say I am SO thankful. I am an up and coming teacher and there isn’t much on classroom organization that’s cute and functional. I love your organization and I am definitely taking notes for my future classroom! Thank you so much for posting and PLEASE DON’T STOP!! Could you tell me if that peach colored file cabinet was spray painted, or did you just buy it that way? you want to say on the topic of this post, in my view its genuinely remarkable in support of me. 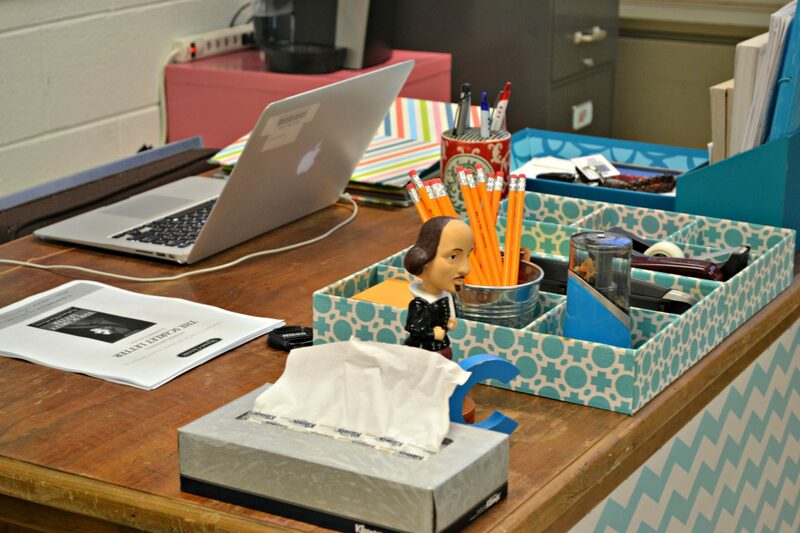 I am a (hopefully) soon-to-be high school English teacher, coming from teaching at a university, and I have been looking for some classroom organization tips. This is great! Thanks for this post. 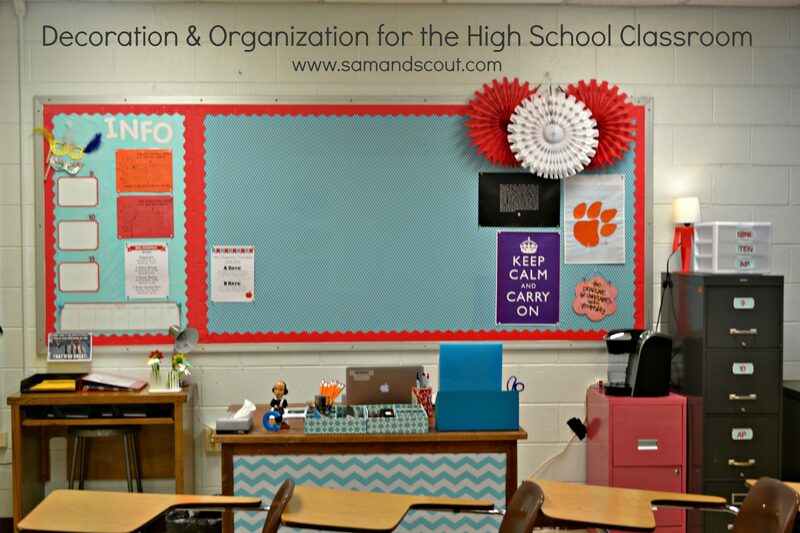 I totally agree secondary teachers can (and need to) have fresh, organized, and decorated classrooms too. I went into a middle school classroom the other day for a meeting and it looked so messy and drab. I encourage all secondary teachers to bring some beauty into their classrooms. Really like these ideas. I’m definitely going to incorporate them into my classroom this year. I really like the taking the drawer back for the supplies. 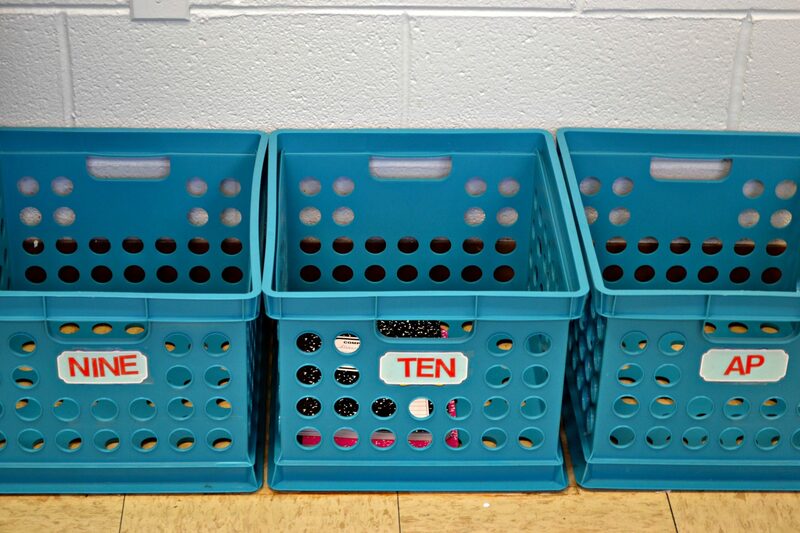 I’ve used plastic boxes, but love this organizational idea! Wow! I love these ideas! I am going to use ALL of them! (not that I really would want to…HaHa). You certainly put a fresh spin on a topic that has been written about for a long time. blog readers have ccomplained about my website not working correctly in Explorer but looks great in Opera. This is so cute! I totally appreciate this post…you don’t see very many secondary classrooms that look so great! It’s just enough…some can be over the top. Your students must love it! May I just say what a comfort to discover an individual who truly knows what they are discussing over the internet. Love your colorful, but still age-appropriate decorations! I’m sure your students love being in your classroom. Great SetUp for Small SPaces.